Every Rancher here features a powerful 420cc liquid-cooled engine. So first, choose between two-wheel or four-wheel-drive. Then, based on your usage, choose a rear suspension—Independent Rear Suspension or Swingarm. Next, decide what kind of transmission you want—standard ATV manual shifting, Honda’s Electric Shift Program (ESP) or the Honda Automatic DCT. Then look into the other features, and pretty soon your Rancher will fit you like a hand-tailored suit—but one that’s built to work as hard as you do. The Rancher’s Honda Automatic DCT transmission offers strong internals, fast shifts, excellent control, true compression-braking capability in steep terrain, and an automatic program that upshifts and downshifts while you concentrate on riding. It’s one of the best available choices you can make. Easy to read and full of the information you want. In addition to the standard gear position indicator, speedometer, odometer, trip meter, and hour meter—you get readouts for fuel level, clock, water temperature, speed and Honda’s “maintenance minder” system (to help remind you when it’s time to have your ATV serviced). Comes with all Ranchers except base model. 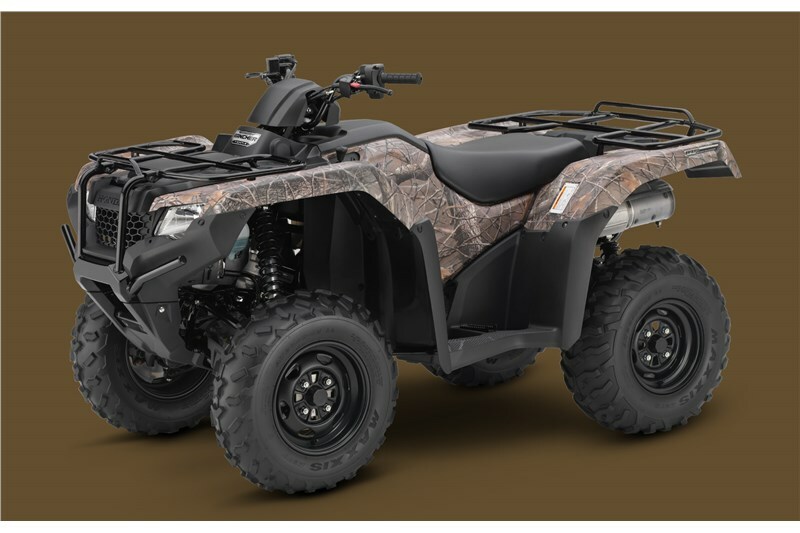 A favorite option for many riders, our exclusive Honda Phantom Camo is a treatment that helps your ATV blend in to a wide range of environments. The Rancher’s reverse lever is simple, easy and intuitive to use. The Rancher incorporates an in-tank fuel pump for cooler pump operation, and long pump life. Our rock-solid system lets you choose either 2WD or 4WD instantly, giving you the freedom to choose between lighter steering (in 2WD) and maximizing available traction (in 4WD) when you need it most. A plush seat and open rider triangle (bar/seat/pegs) teams up with the suspension to really treat you right. 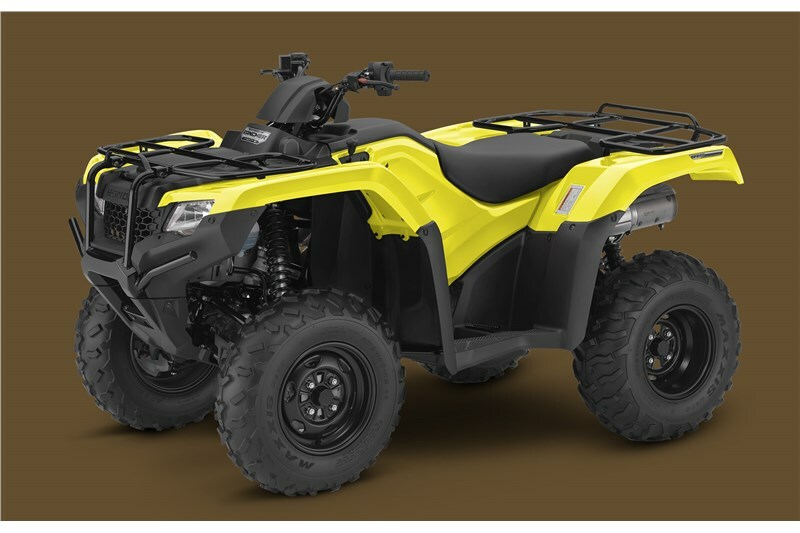 Superior ergonomics have always been a Honda priority, and the Rancher is no exception. With thick, soft foam, it’s exceptionally comfortable. Compact and lighter-weight, the Rancher’s overhead-valve, semi-dry-sump design creates an engine that's shorter from top to bottom. That returns two big benefits: it enhances handling by lowering the engine's center of gravity, and it also allows for better ground clearance.